Fur mites, or "walking dandruff," affect mainly rabbits, but also guinea pigs, hedgehogs, rodents, cats, and dogs. Although an uncommon host for the mite, these mites can also be transmitted to humans. The mites are nonburrowing skin parasites. On close observation of an infested pet, movement of the dandruff is visible caused by the mites moving underneath the scales. There are different species of fur mites that cross over and infest all pets and others that are specific to certain animals. There are three common species of Cheyletiella mites that affect cats, dogs, and rabbits. They are Cheyletiella yasguri, C. blakei, and C. parasitivorax. They are typically found on dogs, cats, and rabbits, respectively. Although each is more specific to a particular species, all three have the potential to cross over to other host species. A mite common only to laboratory colonies of guinea pigs is Chrodiscoides cavaie, also known as "static lice." These mites firmly attach to the hindquarters and the "lice" are actually eggs. These mites are non-burrowing, living in the fur (pelage), and feed off of the keratin layer of the skin. Pale yellow to white, the mites cause skin irritation, usually along the back of the animal, caused by a digesting enzyme excreted by the mite. This enzyme partially dissolves the skin, letting the mite eat the dissolved skin and causes the irritation to the animal. The signs and treatment for all Cheyletiella mites and static lice are the same, so identifying the species is not relevant. These mites can also infest humans but are considered transient because they cannot complete their life cycle on humans. Direct contact with an infested animal is the most common way to pick up mites. Since the mites can also survive off a host for a few days to weeks in the environment, they can also be picked up through contact with bedding, toys, grooming equipment or other objects carrying the mites. The life cycle of mites is about three weeks and takes place entirely on one host. A female adult mite will lay eggs on the host animal. The eggs hatch into larvae, developing into nymphs, and then into adults. An adult mite is very small, ranging from 0.3 mm to 0.5 mm, with eight legs. Feeding off of the keratin layer of the skin and in order to digest the skin, the mites secrete an enzyme that actually dissolves a small part of the skin. This is what causes the itchy, hair loss, scabs, and discomfort. Visual signs include chronic dandruff, "walking dandruff," chronic scratching of the hindquarters, nape of neck, and along the back, sores or scabs in the same areas, and hair loss. Microscopic diagnosis of the mites or eggs recovered by a skin scraping, combing, or acetate tape can positively identify an infestation. Affected skin may be slightly reddened, oily, hairless, and have scaly patches on the head, shoulders, and back. 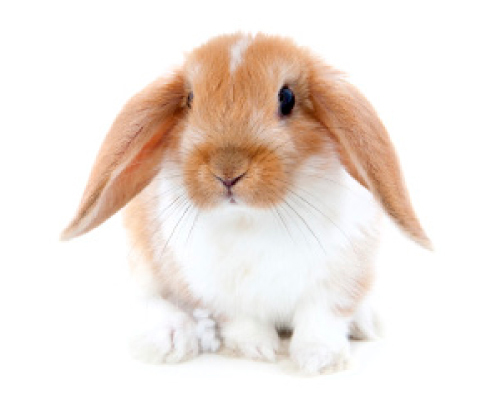 In rabbits, C. parasitivorax might not cause signs or it can result in loose hair pulled out in clumps. Hedgehogs have been known to lose quills. 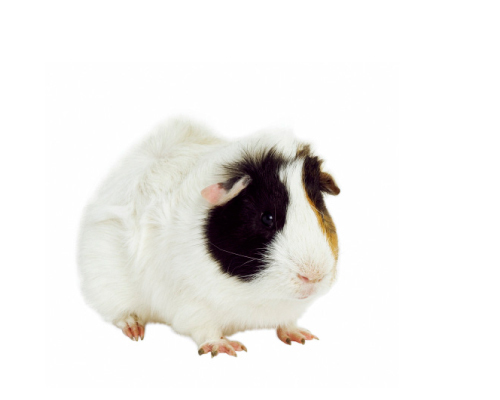 C. cavaie may cause little signs or cause scratching, redness, hair loss, and flaking in guinea pigs. A rough hair coat and even skin ulcers can result from continuous grooming. Mites are transmitted by direct contact with the host, animal bedding, or hair and debris. Therefore, it is important to clean and treat the environment while treating the animal. Treat any animals in contact with the infested animal even if they are not showing any signs. Thoroughly clean and treat the areas where your pet sleeps and roams. This includes bedding, carpets, sofas, chairs and cushions, and stuffed toys. Make sure to vacuum carpets and cushions before treating to increase penetration of the dust or powder. Steam cleaning and shampooing is not recommended as this could create the type of conditions they prefer. Prior to any application, read and follow all directions making sure the product is safe for rabbits, cavies, or other small animals. Common recommended pesticides include lime sulfur dips, ivermectin or selamectin, permethrins, pyrethroids, and phenylpyrazoles. Phenylpyrazoles and permethrins should not be used for rabbits or cavies. Always consult with your veterinarian before beginning any treatment. Apply dusts and liquid topical treatments near the shoulder blades, back of neck, and on the rump. Prior to any application, read and follow all directions making sure the product is safe for rabbits, cavies, or other small animals. In unresponsive cases, injections of ivermectin are often used. In all cases, treatment will need to be repeated two to three times varying from five days to three weeks depending on the pesticides used. The adult mites are killed during the first treatment, but eggs that remain in the fur or the environment will hatch and the larvae will grow and lead to a new infection cycle. The follow up treatments will kill the later ones. The best practice is prevention of an infestation through consistently clean bedding, pens and cages, hand-washing, and not sharing grooming equipment, toys, or bedding, regular grooming, and frequent health checks. Jeromin, Alice. (2008, May). Cheyletiella mites: Population on the move. DVM In Focus, 20-24. Percy, D.E. and Barthold, S.W. (2001). Pathology of Laboratory Rodents and Rabbits (2nd edition). Ames, Iowa: Iowa State University Press. White, SD; Bourdeau, PJ; Meredith, A. (2003). 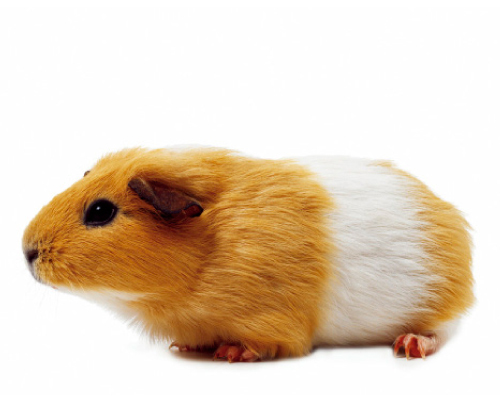 Dermatologic problems in guinea pigs. Compendium on Continuing Education for the Practicing Veterinarian, 25 (9), 690-697.